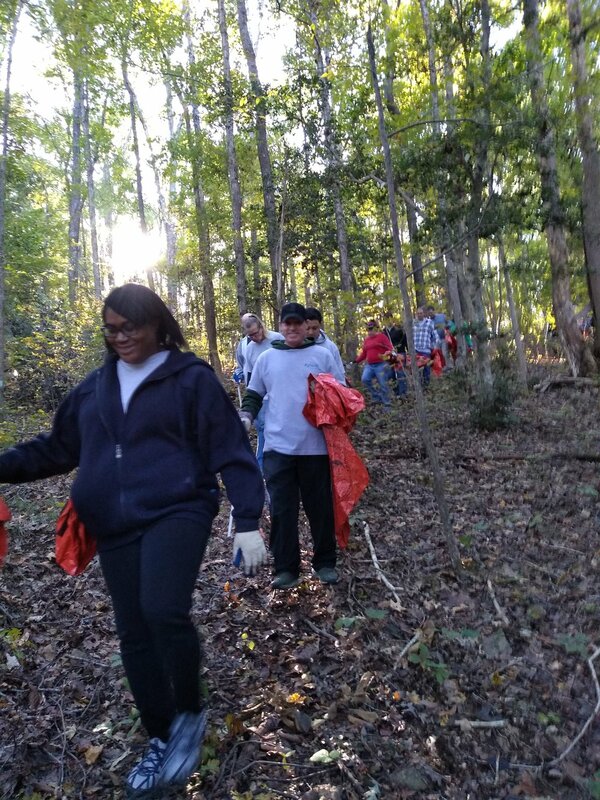 Sensus a xylem brand (https://sensus.com/) brought 50 employees to Jordan Lake on Monday, Oct. 29th for a great morning of community service! After many weeks the lake level had thankfully receded to just 3 ft above normal. 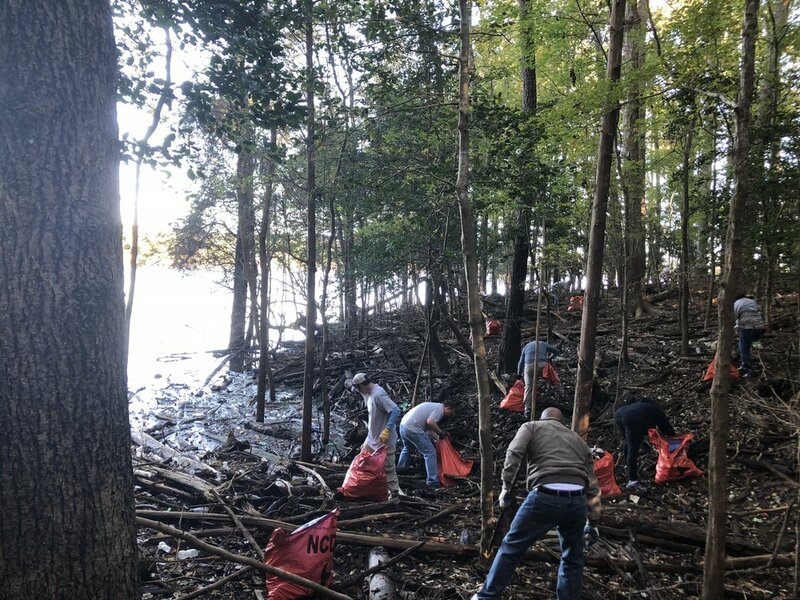 The volunteers were able to reach the shoreline safely and remove most of the trash brought by Hurricanes Florence and Michael. The assigned area was a series of coves along a 3/4-mile stretch of Kirks Creek bordering Jordan Dam Rd. The Army Corps of Engineers brought out their pontoon boat and, with the help of volunteers, hauled 140 bags of trash and 7 tires back to their bulkhead where we have a dumpster for trash and storage of tires for later recycling. These volunteers faced a huge mess. But when they finished, natural beauty was restored along the Corps' Red Trail that incidentally offers a nice hike with lake views for visitors- see https://www.hikingproject.com/trail/7043491/poes-ridge-trail . After a couple of hours of hard work, Sensus employees enjoyed a lunch at the Visitor Assistance Center of the Army Corps of Engineers and a great vista of peaceful Jordan Lake.